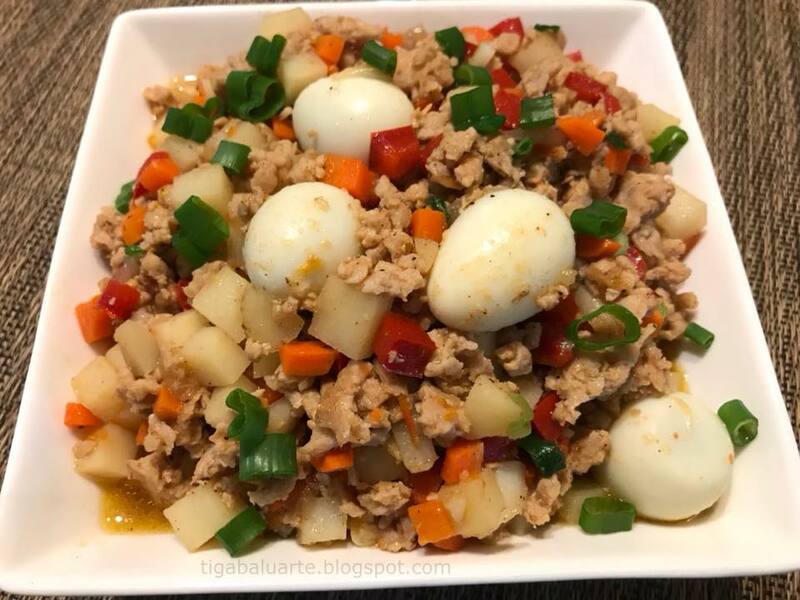 Chicken Giniling with Quail Eggs is one of those easy to make Filipino recipe. With this recipe you can use either ground turkey or beef or pork. Heat deep pan in medium heat and add cooking oil. Sauté garlic and onion until caramelized. Add ground meat, stir well and cook for 5 minutes or until meat turns golden brown. Season with salt and ground pepper to taste. Stir and cook for few more minutes. Start adding the vegetables starting with carrots, stir and cook for 2 minutes. Add potatoes, stir and cook for few minutes. Add bell peppers, stir and cook for few minutes. Add water and quail eggs. Stir and simmer for 10 minutes or until meat and vegetables are fully cooked. Season with more salt and ground pepper if needed. Remove pan from heat and transfer dish in a serving plate. Garnish with green onion and serve hot with steam rice. Enjoy. 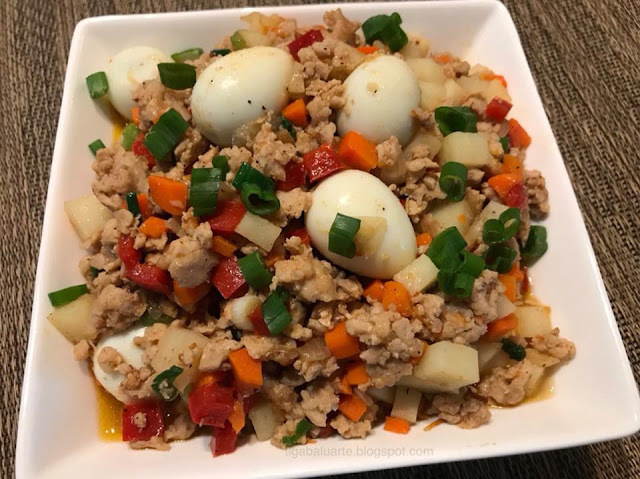 Click link here for more recipe: Ground Chicken Recipes.